I haven’t tried growing either of those varieties yet, although I’ve been considering it. Should I? 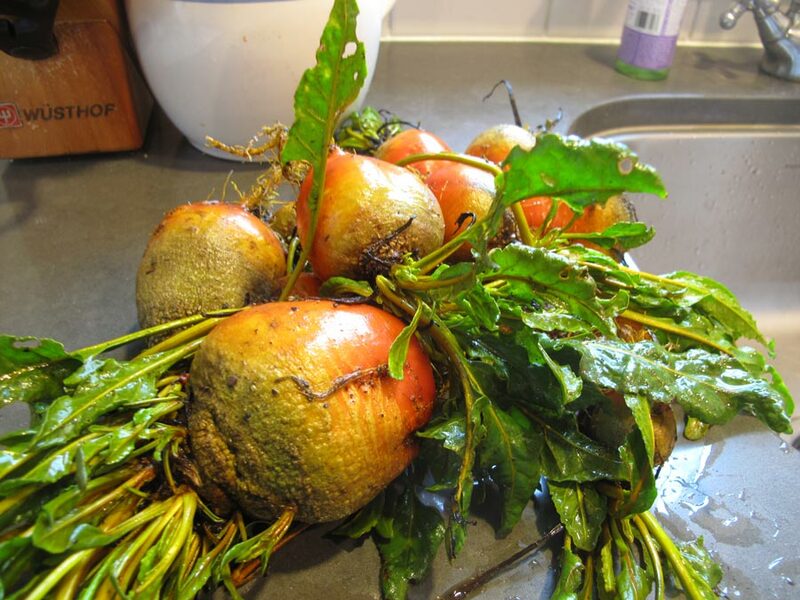 They are both slightly more mild than the standard red beets, with the added benefit of not contaminating everything they touch (including your hands) — I’ve had a lot of pink dishes due to the inclusion of beets as an ingredient. 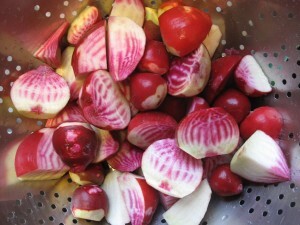 I really like the Chioggo beets, but the red stripes do fade quite a bit when you cook them, so some of the effect is lost. For flavor, they are both excellent — like I said, more mild, with a nice sweetness, and without that sharp bite that beets can have.